The concept is based on a Smart Module. Smart modules offer all in one. The radio part and the SOM are inside the same module. The two antennas will have a bill of material of USD 0 because both could be PCB track antennas. The SIM card could be an eSIM (SIM on Chip). An eSIM will save the SIM card holder. A DC/DC power supply from 5 Volt or 12 Volt to 4 Volt is not too expensive. Based on Android any developer for apps will be able to write the code. The concept is based on a BLE module with the option to run own code on the module. 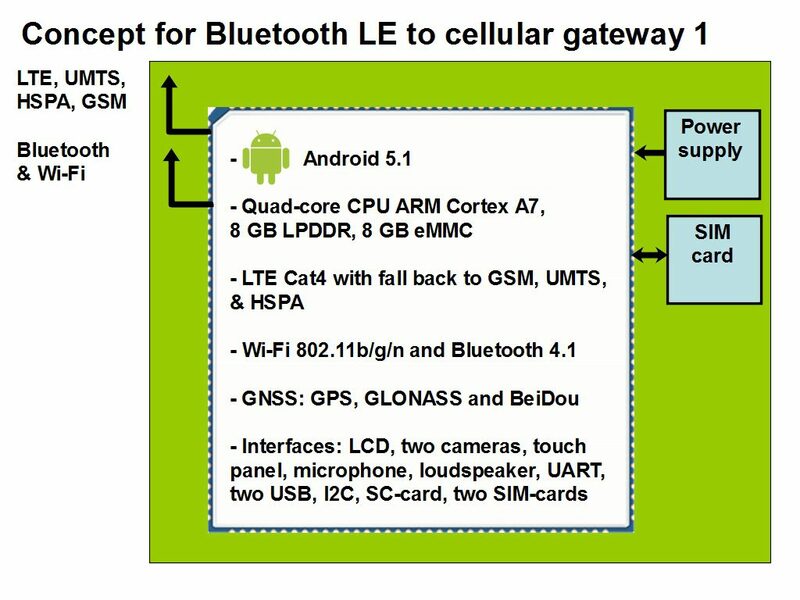 The BLE radio and the SOC are inside the same module. The two antennas will have a bill of material of USD 0 as well because both could be PCB track antennas. 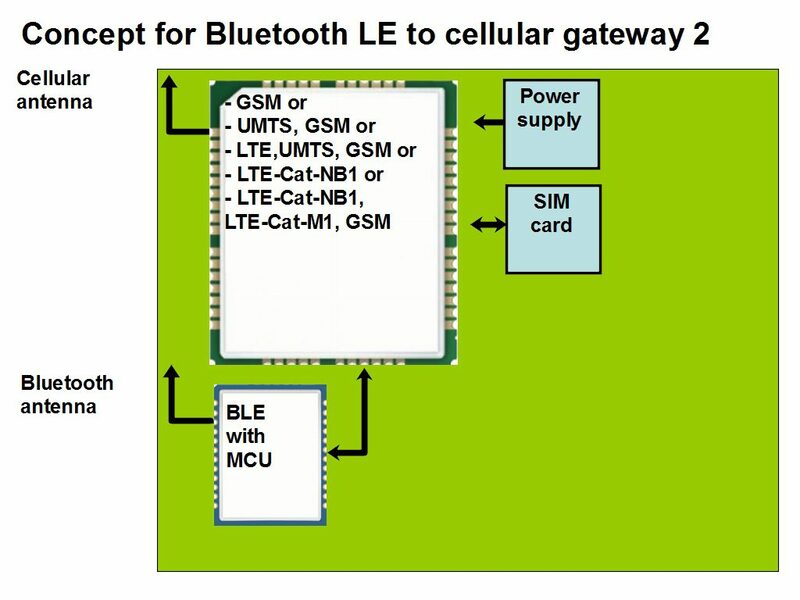 The SIM card could be an eSIM (SIM on Chip). An eSIM will save the SIM card holder. A DC/DC power supply from 5 Volt or 12 Volt to 4 Volt is not too expensive. The free ARM Keil compiler is fine to develop the code on the module. The bill of material will be less than USD 20 easily. If you are interested in an offer for the BOM or development of a prototype or a product for mass production, then do not hesitate to drop an email to harald.naumann (at) gsm-modem.de .